This article explains the issues that occur when .USA files virus infects a target system. It also provides a step-by-step guide on how to remove malicious files and how to potentially recover files encrypted by this ransomware. A data locker ransomware dubbed after the extension it uses to mark corrupted files .USA files virus has been spotted in the wild. As identified by security researchers it belongs to the infamous Dharma ransomware family. In case of infection with this threat, you all your important files will remain inaccessible until their code is reverted back to original state. Once they are encrypted they will appear with the specific extension .USA at the end of their names. 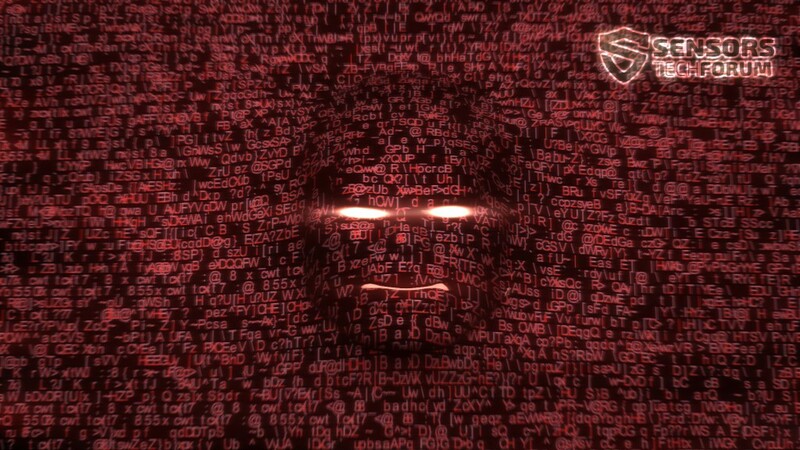 In addition, a ransom message will load on the screen to extort a ransom fee. Symptoms Important files are encrypted and renamed with the extension .USA A ransom note appears on PC screen to present ransom payment instructions. User Experience Join Our Forum to Discuss .USA Files Virus. Security researchers’ reports indicate that this .USA Dharma ransomware is currently circling around the net in active attack campaigns. Attack campaigns could be set against users worldwide. As of the distribution channels used by hackers they are likely to be some of the most common ones such as malspam, malvertising, freeware installers, corrupted web pages, fake software updates, and other. A link to compromised web page that is set to download and execute infection files directly on the PC. The URL address to this page may be presented in the form of an in-text link, banner, image, button or full URL address. A malicious file attachment that is presented as legitimate document by the text message. It could be uploaded in a .rar or .zip archive. Such a file could be set to evade active security measures and trick you into running the ransomware on your PC. Additional spread techniques that may be currently spreading this sample of Dharma ransomware are fake software installers, fake update notifications, compromised software setups, files shared on forums and other techniques may download and activate the ransomware module. The .USA files virus is a nasty ransomware infection that plagues computer systems in order to reach users’ files and encode them with the help of sophisticated cipher algorithm. According to analyses conducted by security researchers, it is a strain of the infamous Dharma ransomware. In order that the infection process with .USA cryptovirus could begin, the ransomware payload should be started on the system. The moment this happens, the threat becomes able to contaminate various system settings that will eventually help it to reach data encryption stage. Beware that if you choose to remove this ransomware manually, you may not be able to find all malicious files and objects created on your infected system. On one hand, .USA files virus could name some of its files after legitimate system files. On the other hand, after acquiring administrative rights it could hide them somewhere deep on the system. And in case that some of its associated files remain on the system, they will continue endangering the security of your device and data. So once .USA files virus has its malicious values there, it starts loading them on every next system power on. Another reason for the contamination of the registry key RunOnce is the automatic display of a ransom note. This usually happens at the end of the attack. The purpose of this note is to extort a ransom payment for the recovery of encrypted files. At this point, it is only clear that hackers present the email [email protected] for contact. No matter of the amount of the demanded ransom, we advise you to avoid transferring it to hackers as this action does not guarantee the recovery of .USA files. 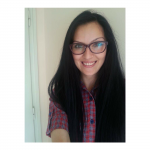 Keep reading to find some alternative methods that are secure and may be useful as well. What are .combo files? What is Dharma ransomware virus? 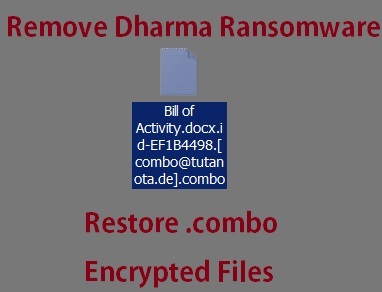 How to remove Dharma ransomware and how you can try and restore .combo files so that you open them? .bkp, etc. ), Dharma .USA crypto virus primary goal is to reach data encryption stage. During this stage it activates a built-in encryption module that utilizes a single cipher algorithm or a combination of two cipher algorithms to encode target types of files. Corrupted files could be recognized by the distinctive extension .USA appended to their names. Your access to information stored by .USA files is restricted and that’s why hackers attempt to blackmail you into paying a ransom for decryption tool. However, there is no guarantee that they could provide you with a working solution as the code of their threat could be broken. So what we could recommend you is the help of alternative data recovery methods some of which are available in our removal guide. This Dharma ransomware strain associated with .USA extension is a threat with highly complex code that plagues not only your files but your whole system. So you should properly clean and secure your infected system before you could use it regularly again. Below you could find a step-by-step removal guide that may be helpful in attempting to remove this ransomware. Choose the manual removal approach if you have previous experience with malware files. If you don’t feel comfortable with the manual steps select the automatic section from the guide. Steps there enable you to check the infected system for ransomware files and remove them with a few mouse clicks. If you want to understand how to potentially fix encrypted files with the help of alternative data recovery approaches, make sure to read carefully all details mentioned in the step “Restore files”. We remind you that before you begin with the data recovery process, you should back up all encrypted files to an external drive as this will help you to prevent their irreversible loss. Threats such as .USA Files Virus may be persistent. They tend to re-appear if not fully deleted. A malware removal tool like Combo Cleaner will help you to remove malicious programs, saving you the time and the struggle of tracking down numerous malicious files. Threats such as .USA Files Virus may be persistent on your system. They tend to re-appear if not fully deleted. A malware removal tool like SpyHunter will help you to remove malicious programs, saving you the time and the struggle of tracking down numerous malicious files. Note! Your computer system may be affected by .USA Files Virus and other threats. SpyHunter is a powerful malware removal tool designed to help users with in-depth system security analysis, detection and removal of threats such as .USA Files Virus. 1. Install SpyHunter to scan for .USA Files Virus and remove them. 2. Scan with SpyHunter, Detect and Remove .USA Files Virus. Ransomware infections and .USA Files Virus aim to encrypt your files using an encryption algorithm which may be very difficult to decrypt. This is why we have suggested several alternative methods that may help you go around direct decryption and try to restore your files. Bear in mind that these methods may not be 100% effective but may also help you a little or a lot in different situations. Note! Your computer system may be affected by .USA Files Virus or other threats. Remove .USA Files Virus by cleaning your Browser and Registry. Fix registry entries created by .USA Files Virus on your PC. Combo Cleaner is a powerful malware removal tool designed to help users with in-depth system security analysis, detection and removal of threats such as .USA Files Virus. Step 5: In the Applications menu, look for any suspicious app or an app with a name, similar or identical to .USA Files Virus. If you find it, right-click on the app and select “Move to Trash”. Step 6: Select Accounts, after which click on the Login Items preference. Your Mac will then show you a list of items that start automatically when you log in. Look for any suspicious apps identical or similar to .USA Files Virus. Check the app you want to stop from running automatically and then select on the Minus (“–“) icon to hide it. Remove .USA Files Virus – related extensions from your Mac’s browsers. A pop-up window will appear asking for confirmation to uninstall the extension. Select ‘Uninstall’ again, and the .USA Files Virus will be removed. When you are facing problems on your Mac as a result of unwanted scripts and programs such as .USA Files Virus, the recommended way of eliminating the threat is by using an anti-malware program. Combo Cleaner offers advanced security features along with other modules that will improve your Mac’s security and protect it in the future. Hey !, I found this information for you: ".USA Files Virus (Dharma) – How to Remove It". 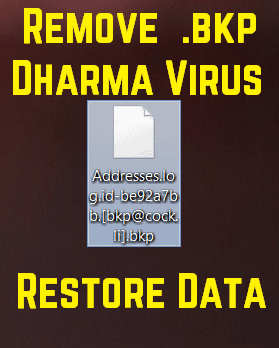 Here is the website link: https://sensorstechforum.com/remove-usa-files-virus-dharma/. Thank you.